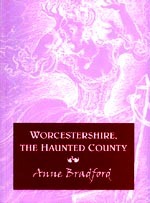 Size A5, 178 pages, fully illustrated in black and white by drawings by Zora Payne and photographs by Anne Bradford. 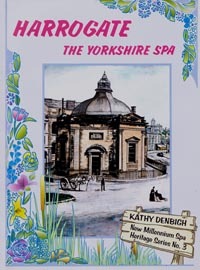 The story of Harrogate's remarkable legacy of springs and wells and the physicians and enterpeneurs who, over the centuries, turned a piece of rural Yorkshire into a famous spa town: also of the efforts now being made to reverse the post-war decline and create a new spa for the 21st century. Normal Price £9.99 see 'buy today' price below. Following in the footsteps of a 17th century lady traveller, the text explores these early years of British Spas, who discovered them, promoted them and used them for what ailments. The text looks at what Celia Fiennes saw and experienced at the 23 early mineral water spas that she visited. 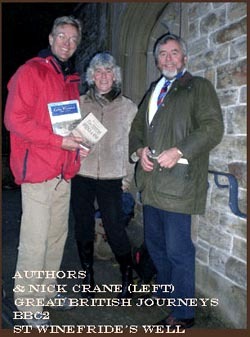 Also recorded are the surviving artefacts enabling the reader to rediscover and appreciate these echos from the past. The perfect gift for someone wishing to explore this hidden aspect of the early science of healing. Normal Price is 16 pounds 99 pence but see 'Buy Today' price below. 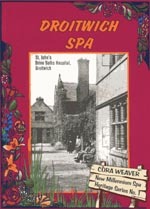 A very readable account of the history of Droitwich's saline baths from 1836 until the present day. Discover what the baths were like, how they were used and who visited them. Size 23.5mm x 21.5mm. 174 pages, full colour photographs on almost every page. 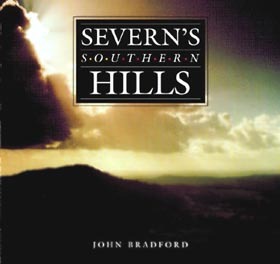 This book celebrates the beauty of the hills that lie either side of the lower river Severn between Bridgnorth and Gloucester and reveals some of their unique features, attractions and hidden secrets. The text tells something of the history and folklore of each one, mining and quarrying on Titterstone Clee hill, villages abandoned on Brown Clee Hill during mediaeval times, a battle that never was on the Abberley Hills, the village that was transformed almost overnight on the purity of its spring water into a popular spa town - Great Malvern, Winchcombe at the foot of Langley Hill, once a royal town in a lost county where Saxon kings had a mint and buried their dead in a mausoleum. Iron Age hillforts, tollhouses and milestones from the days of turnpike roads, a rebuilt railway line with steam trains, and a motor sport hill climb, all are to be found within the pages of this book. 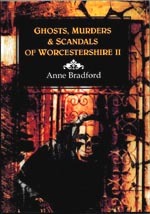 The first volume of Ghosts Murders and Scandals sold out so quickly that I have produced a second volume. Twelve months before an archeological dig discovered that Romans (or the Romano-British) had occupied a large part of Evesham, two ladies were driving down Abbey Road when they saw a centuria of Romans passing by. In Droitwich, in 1997, two young men stock-taking late at night on the Berryhill industrial estate saw a Roman in full regalia walk across the bottom of the shop. The Chairman of the Malvern Museum Trust will not be pleased when I remind everyone that her hero, Dr James Gully, who helped to make Malvern what it is today, was, as an elderly married man, involved in a horrendous scandal with a young patient. One of the first policemen to be killed on active duty probably met his end in an election riot at in 1857 Kidderminster. If you are feeling depressed, this is a book shocking enough to take your mind off your troubles and cheer you up.